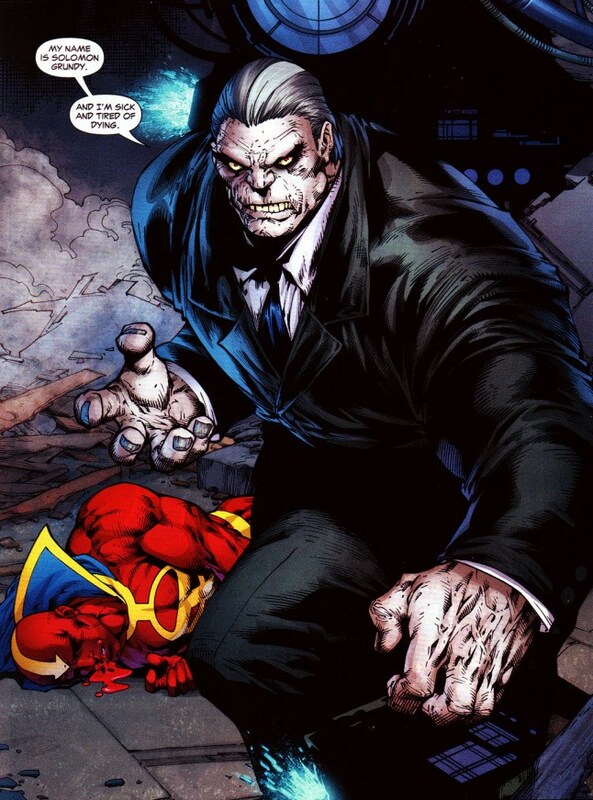 Thus I couldn’t resist devoting my Halloween post to Solomon Grundy. 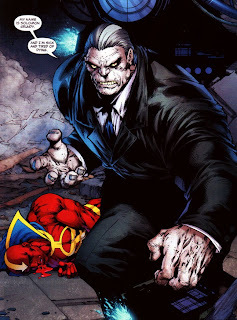 The big guy isn’t my favorite comic book villain, but he’s one of my favorites. 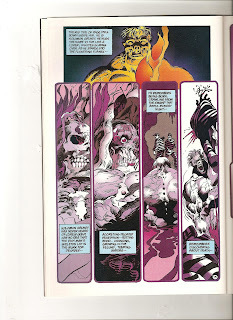 I decided to think about why Grundy has been such an enduring character all of these years. One of the things that fascinates me about Solomon Grundy is that he’s both one of the most unique and most derivative of all comic book characters. 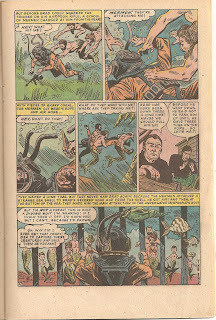 A monster composed of swamp matter that becomes a mob leader and whose brief life parallels a nursery rhyme; could you think of a more uniquely comic book-ish concept than that? 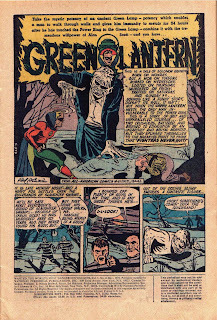 At the same time, Grundy also owes a clear debt to two famous movie monsters; one obviously being the Universal Frankenstein Monster, and the other not-so-obviously being, well, I’ll get to that shortly. 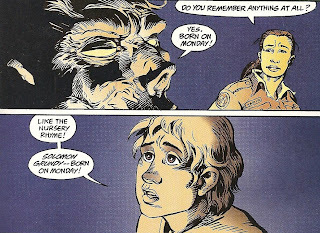 Grundy’s origin is also quite similar to that of the titular creature in Theodore Sturgeon’s short-story “It”, and with Grundy’s creator being the noted science fiction writer Alfred Bester, was almost certainly inspired by that story. 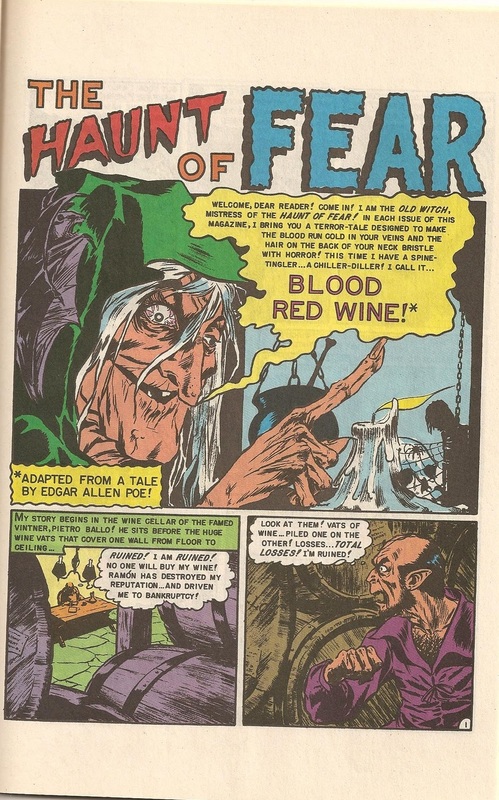 “It” already had spawned an imitator in Hillman publishing’s character The Heap, and would be ripped off for countless horror comics stories in the 50s, so much so that Mad parodied the whole concept in its fifth issue. 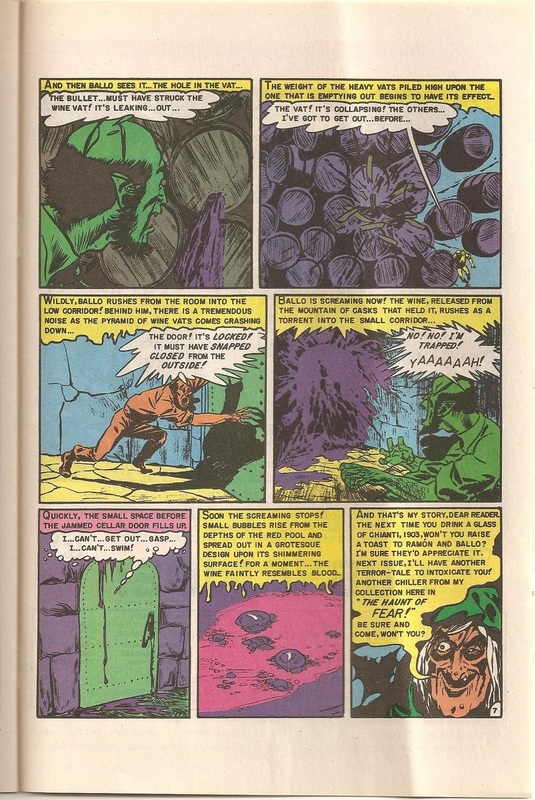 And of course, we also have Marvel’s Man-Thing, Hulk villain The Glob, and most famously, DC's own Swamp Thing. What is it that’s so intriguing about a dead body returning to life composed of swamp matter? 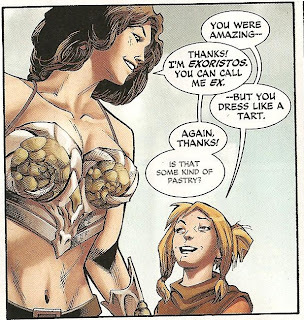 I don’t know, but clearly comic book writers do. 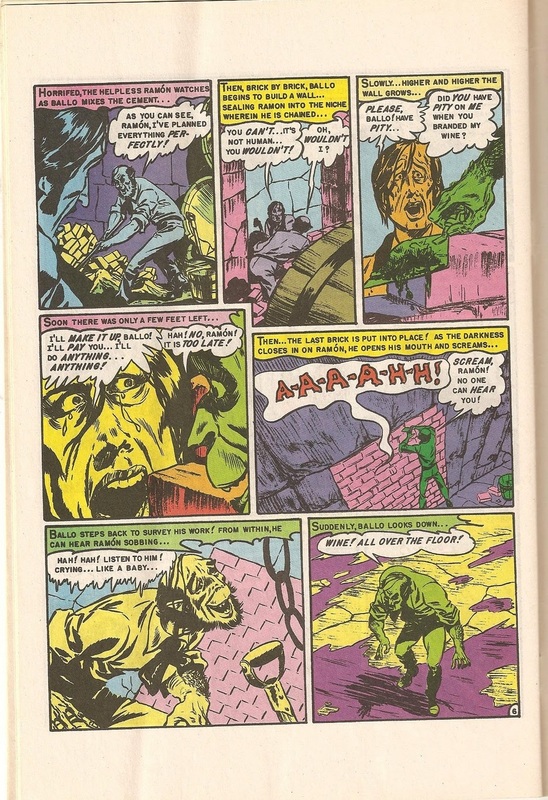 So with so many similar characters wandering around the pages of comics, and not just other swamp monsters, but “brute” characters like The Hulk (whom Grundy is often used as an analogue of and vice versa), why is Grundy such a memorable figure? Why hasn’t he been eclipsed? 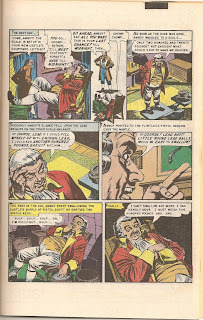 His entire gimmick; that his life paralleled the nursery rhyme, was used up at the end of the first story. 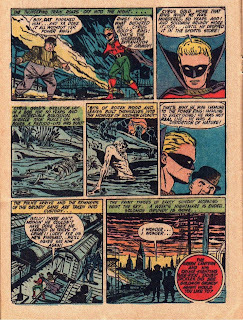 What left was there for him to do except be endlessly resurrected and killed, or used as a henchman for other villains, each time becoming less and less threatening? What makes him so memorable? I think I may have an answer. 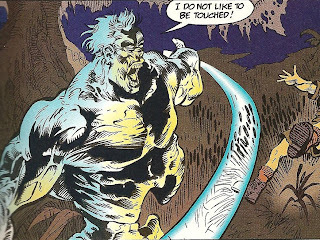 Like many comics characters, Grundy has been through a lot of changes, becoming an at times sympathetic figure, but mostly he remains a villain. His two most recent changes have had him becoming intelligent and dressing in power suits, but also being far more evil and calculating. 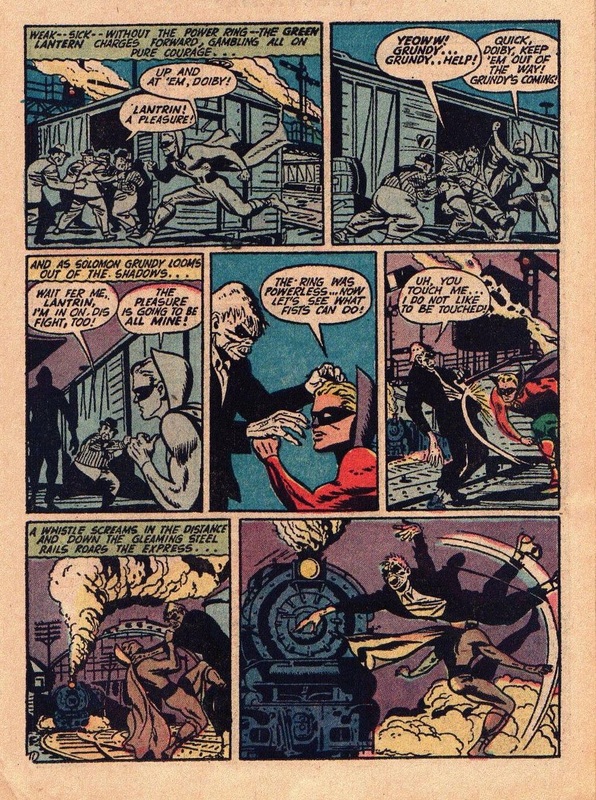 His other change was becoming a Hulk-like figure, switching back and forth from Cyrus Gold. Some people have decried these two changes as too radical, but I think they work, and support my theory. 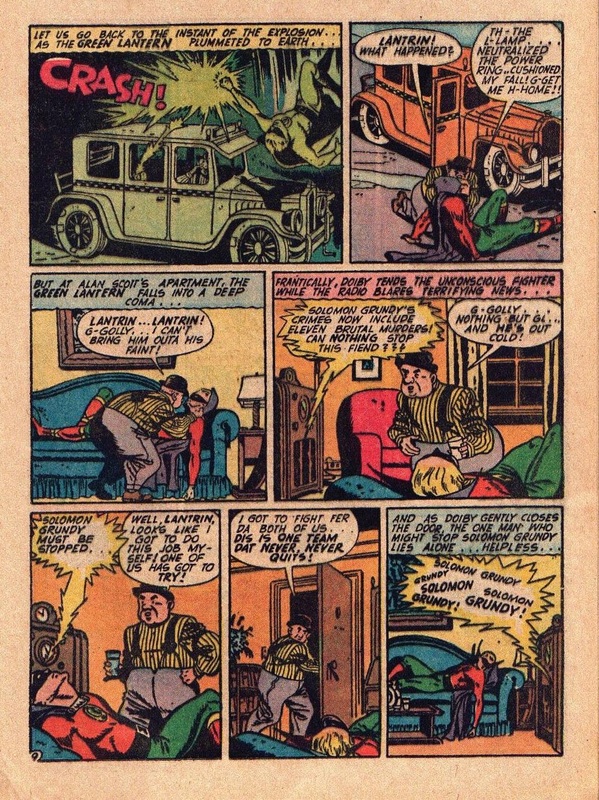 Going all the way back to Grundy’s first appearance, one notices some odd things about him compared to how he is depicted by artists today. One is that he is less hulking and muscular, looking gangly, emaciated and posessing mismatched joints; a Frankenstein monster created by nature. 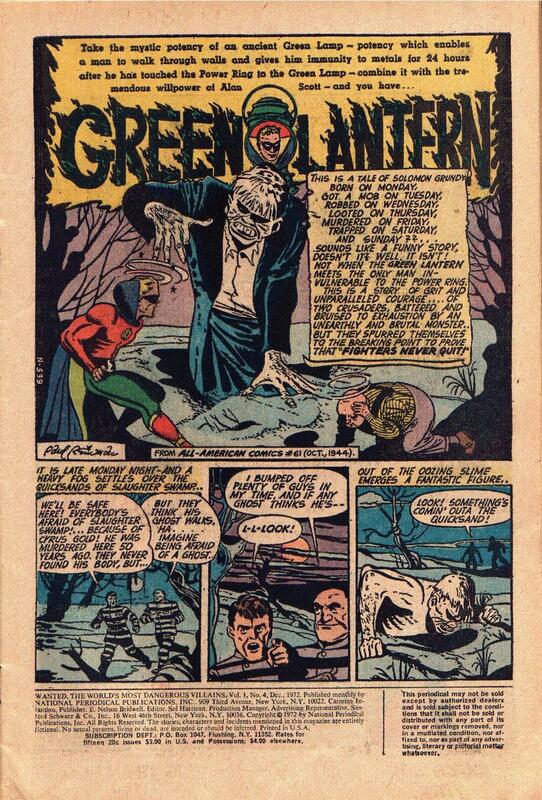 Green Lantern even compares him to a scarecrow. But more importantly, Grundy is much more grotesque facially, with huge jagged, rotting teeth, ape-like jaws and nostrils, and a tall cone-shaped head. 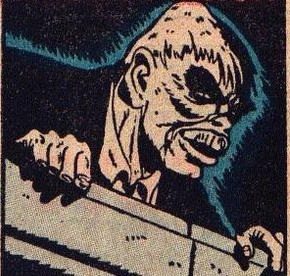 He is that rarity; a comic book villain who has gotten less grotesque-looking over the years. 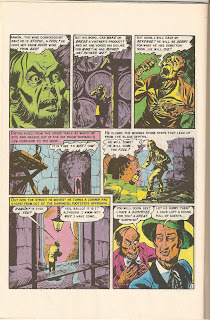 Putting aside the obvious Frankenstein-connection, I can’t help but notice a resemblance to another famous movie monster; the Fredric March version of Mr. Hyde. 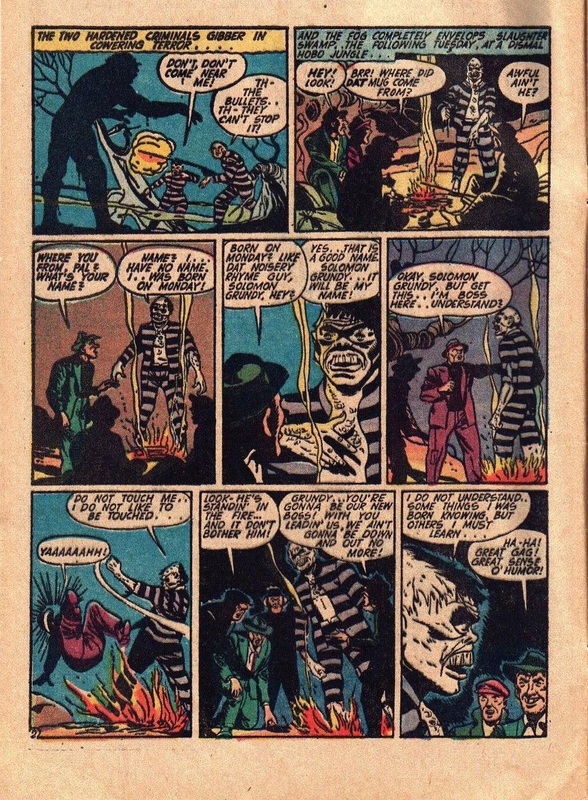 There’s one of the keys to my argument, Grundy isn’t as much Frankenstein’s Monster as he is Mr. Hyde. Both in the book and film, Dr. Jekyll becomes Mr. Hyde to escape the boundaries put upon him by the upper classes, and thus makes his milieu in the poorer areas of London, yet, he can’t quite doff his upper class roots and still walks around dressed at the height of Victorian fashion. 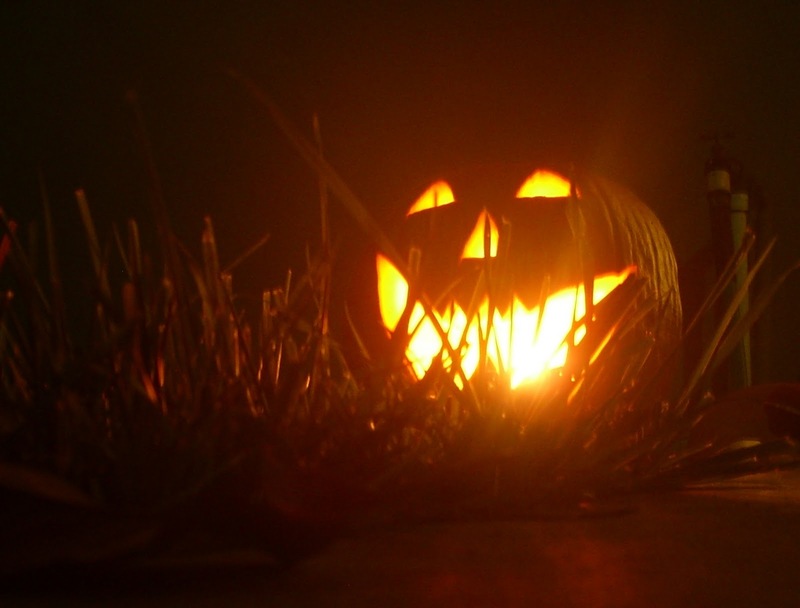 In the novel, Hyde is described as not being deformed or monstrous, but giving off a feeling of evil, of not being quite right no matter how polite or impeccably dressed he is. He is also described in the book as being very short, looking slightly ridiculous by wearing clothes too large for him. 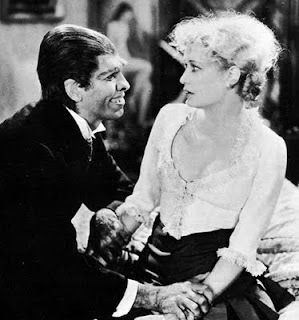 In the 1931 film, Hyde resembles a Neanderthal, creating a striking contrast with his impeccable clothing. 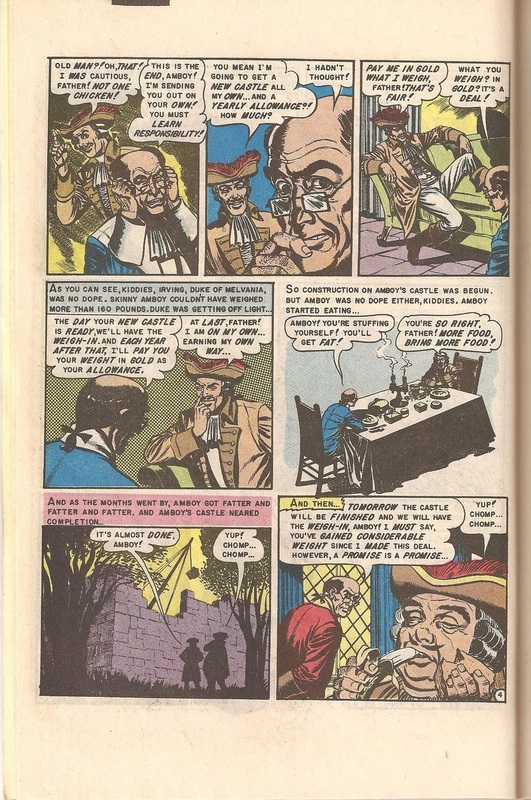 In either case, both depictions of Hyde are effective because he subconsciously represents a fear of the upper class; that the lower class has risen up and assimilated itself amongst them. He is a living embodiment of poverty and brutality, a grotesque caricature of both rich and poor. 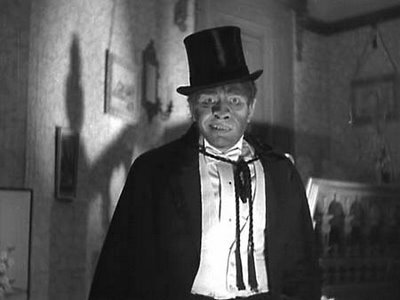 In the film though, what is most terrifying to the upper class characters, particularly Jekyll’s obnoxious colleague Lanyon, is the realization that Hyde is really one of them. They can’t handle the fact that one of their own has sunk to such a level, possibly because they subconsciously realize that their own snobbery towards Jekyll and their own hypocrisies are partially what created Hyde. 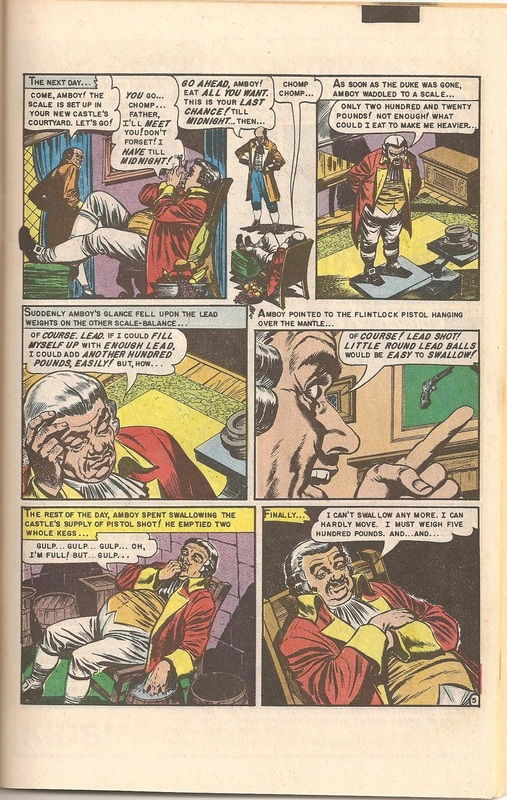 They don’t want to accept that Hyde is something they too could become, which is why Lanyon, showing no sympathy towards Jekyll, exposes him and orders him shot on sight. It is true that Hyde brutalizes people of the lower class, but that clearly isn’t what’s motivating Lanyon to have Jekyll shot, indeed, earlier in the film Lanyon is shown mocking Jekyll’s charity work and says the poor don’t deserve it, and chastises Jekyll when Jekyll saves a prostitute from a mugger. 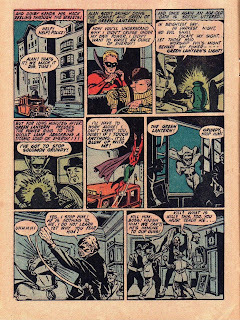 Lanyon clearly is not acting out of any sense of justice or sympathy for Hyde’s victims. 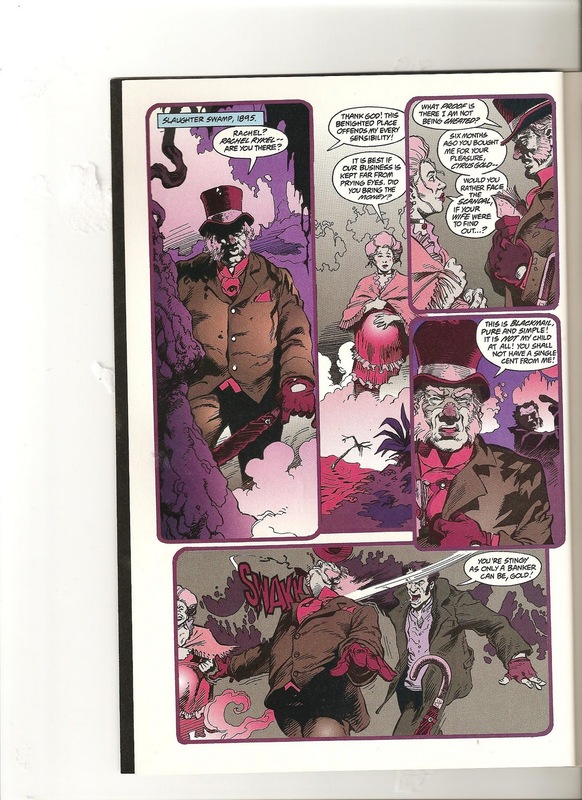 Much like Hyde, Grundy is a nightmarish vision of a revolting lower class, literally born out of death and conceived in filth. 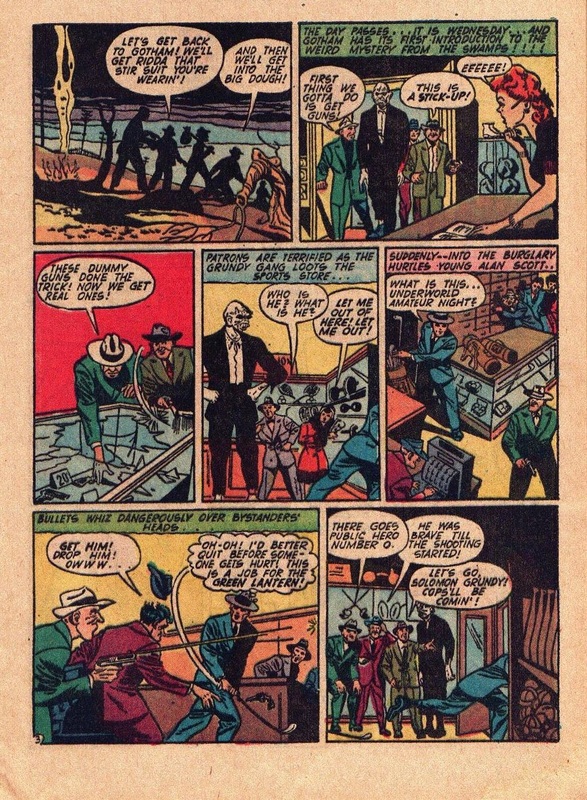 One notices in his first appearance that the first people he meets are two escaped convicts, whom he kills and then steals their clothing to wear. 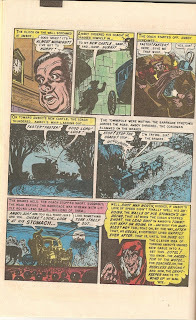 He then meets up with a group of hoboes who take advantage of Grundy’s strength and ignorance. But what separates Grundy from Hyde is that whereas Hyde is terrifying to the rich because he represents what they could become, Grundy is terrifying to the working class because he represents what they have tried to escape and avoid. In 1944, most people had grown up during the great depression, and when the depression ended, tried desperately to escape their poverty-stricken past. The war gave many a sense of unity, helping them to think they were on the same footing with everyone else. 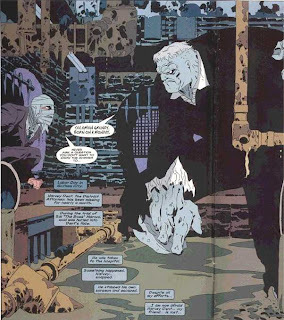 So here’s Solomon Grundy, a filthy, starved-looking creature dressed in rags with awful teeth, striking out not just at the rich, but the poor. He’s everything they are afraid of and are afraid of becoming. How fitting that Grundy’s enemies are The Green Lantern and his sidekick Doiby; Alan Scott, the Green Lantern, was an impoverished train engineer who managed to become a successful broadcaster. Doiby is a poor cab driver who acts as a champion of the oppressed. 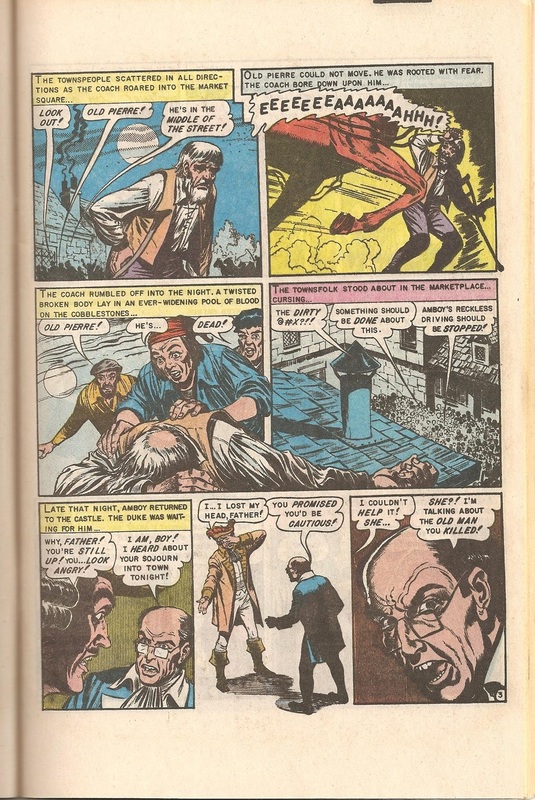 Alan and Doiby are living the American Dream, while Grundy is everything they have tried to escape from; poverty, famine and death. 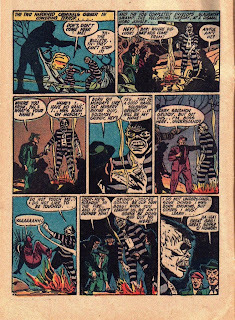 Grundy is the American Nightmare; a Mr. Hyde for the common man. 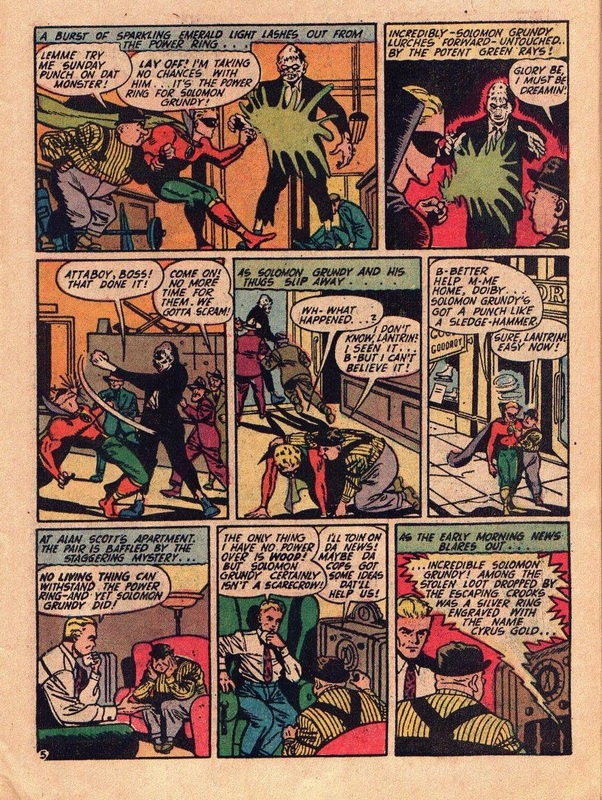 And yet, Grundy is not meant to prey upon reader prejudices, or to imply that all poor people are like that, or to foster class resentment, for he is also portrayed as somewhat innocent, like the Frankenstein Monster. 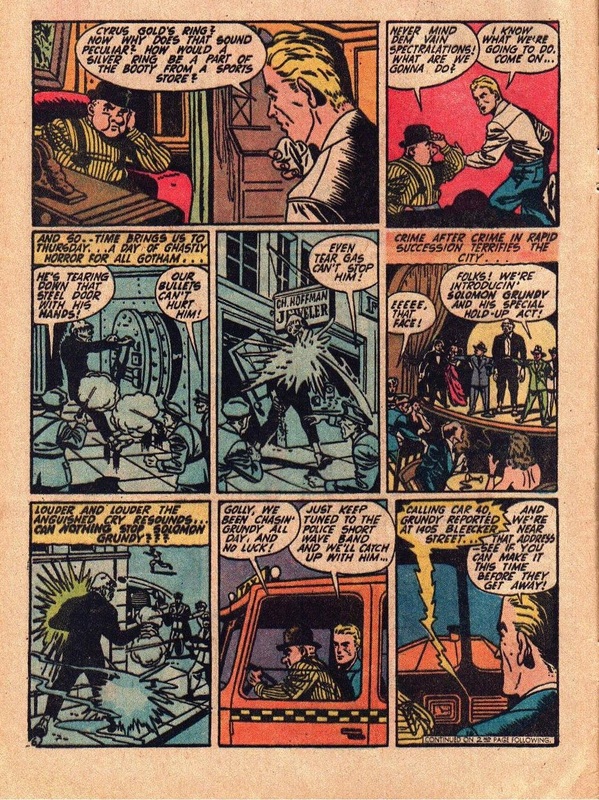 His first two murders are in self-defense, and the only people he has to guide him are a bunch of criminals. 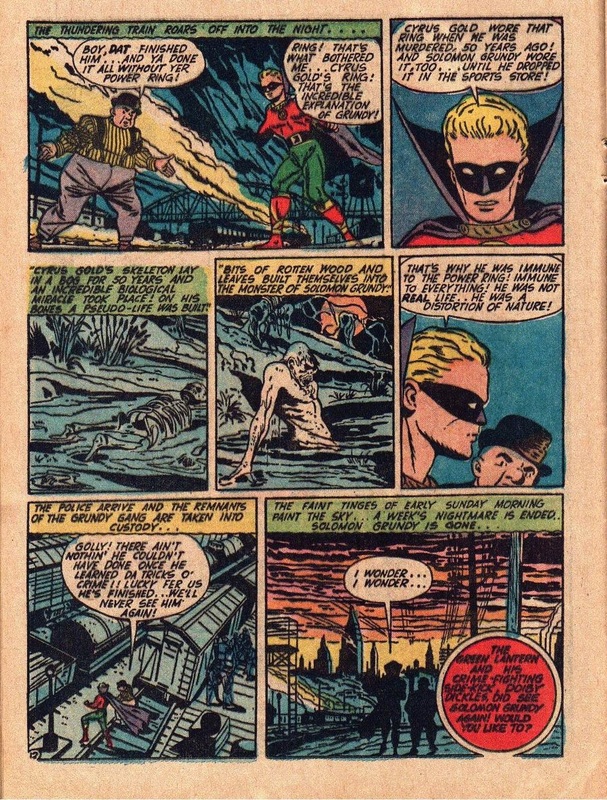 In the most chilling and touching moment in his first story, he apparently kills Green Lantern, which creates a bright flash, Grundy likes the flash, and then starts killing members of his own mob because he thinks killing anyone will bring out the same flash. That, my friends, is how you create a sympathetic but simultaneously scary monster. Am I reading way too much into it? 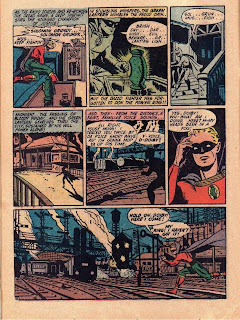 (Yeah, I am) Is my supposed connection of Grundy to the March Mr. Hyde based only in superficial evidence? (Yes, it is) Still, I’d like to think that’s why Grundy has been such a memorable villain through all these decades; he plays on the fears of us, the working class readers, on a subconscious level. And the thing is, other writers have picked up on this connection, intentionally or not. 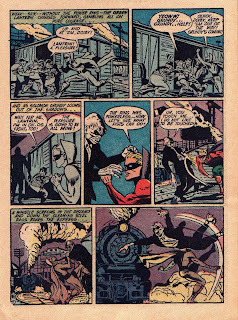 In Shadow of The Bat #39, Cyrus Gold, the man whose corpse became Solomon Grundy is shown, like Dr. Jekyll, to have been a wealthy man. 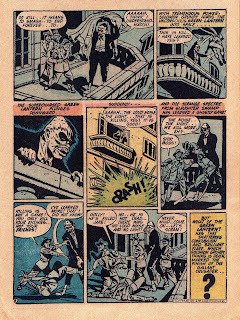 And just like the March Mr. Hyde, the recent Grundy who wears power suits is supposed to be a walking contradiction; the brutish monster who dresses impeccably. 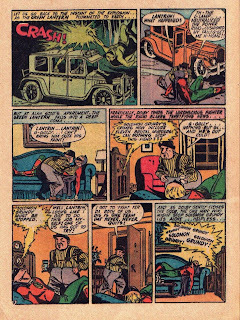 And the other recent change, having Grundy switch back and forth from Cyrus Gold, is also a throwback to Jekyll & Hyde. 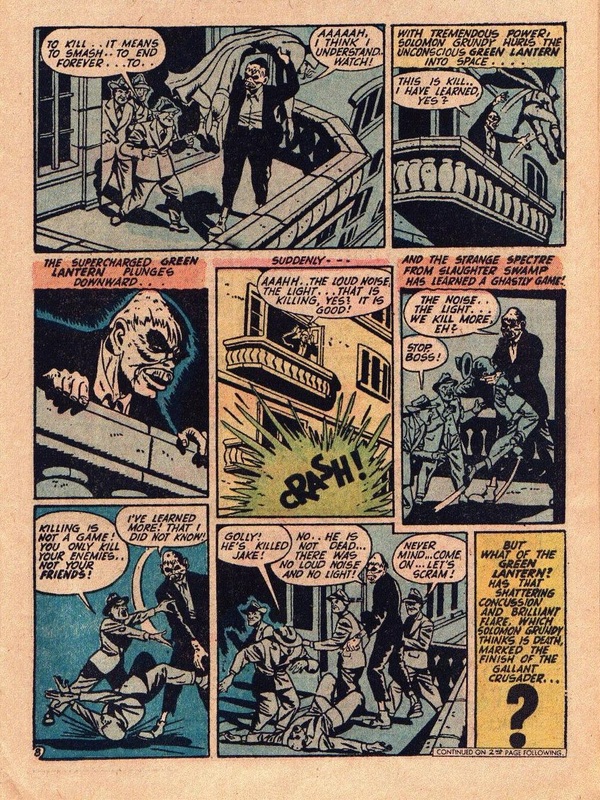 One of the great missed opportunities of Jeph Loeb’s The Long Halloween was when he had Grundy become Two-Face’s stooge. 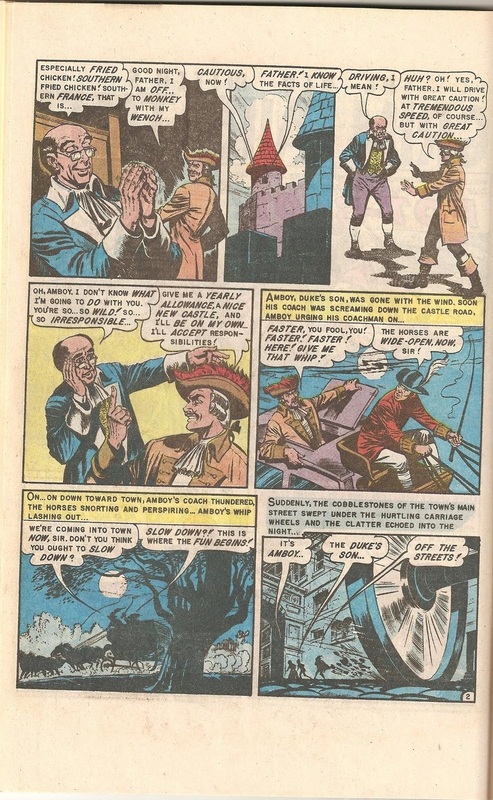 Two-Face, well everyone knows he’s a Jekyll and Hyde figure, but ironically, his first appearances had him acting as a Robin Hood figure who gave his loot to charity. Had Loeb explored both of these characterizations, we could have truly had something, especially since it all culminated in taking down the wealthy Falcone family. 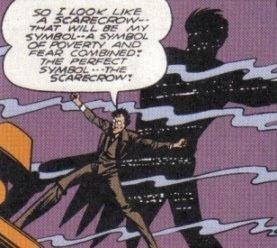 Hell, Scarecrow, who was also part of Two-Face’s gang in TLH, also considered himself a symbol of “poverty and fear” in his debut, so there’s another missed opportunity. 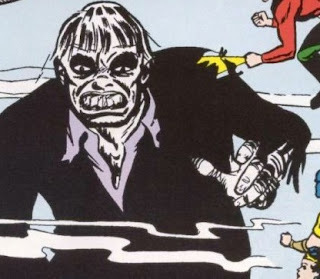 Oh well, whether he’s a walking symbol of class struggle or just a really cool, scary-looking villain, Solomon Grundy is a character you don’t easily forget. 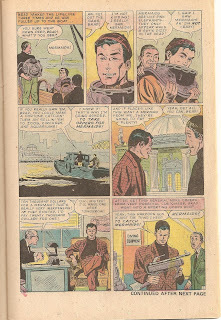 Here’s Wanted #4, a reprint of his first appearance from All American Comics #61. All © DC comics. 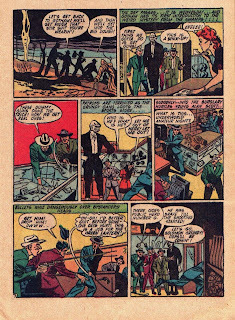 I’ve cropped the “Wanted” logo that appeared at the top of the pages so you can imagine you’re reading the real thing from the 40s. Enjoy! 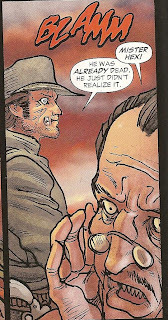 All-Star Western #2 review, and my possibly eminent demise. Today’s my birthday, and I was really stoked for this issue after the bar raised by the first. Sadly, I have to say I’m somewhat disappointed. It’s not bad by any means, but nothing much really happens. 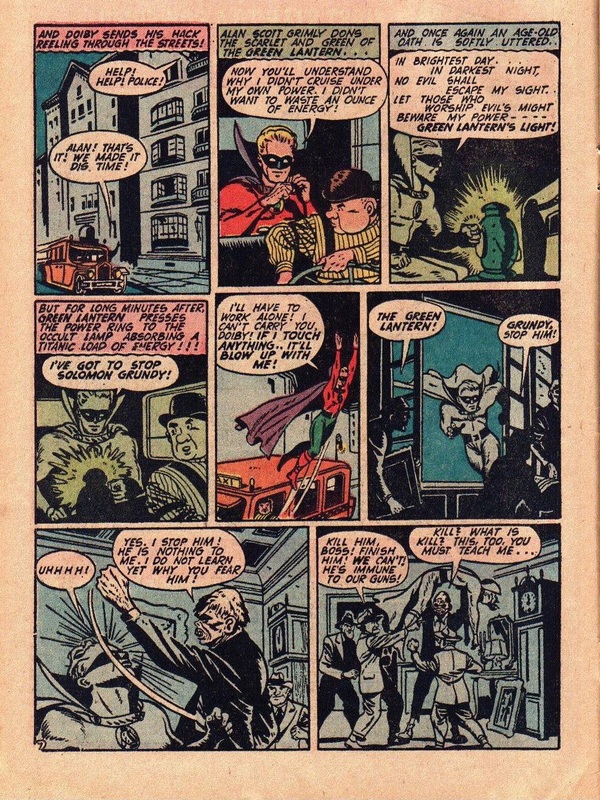 The issue begins as if an entire chapter has been missing, with Jonah and Arkham facing off against some hired assassins, while we also get a look at Gotham’s hellfire club. 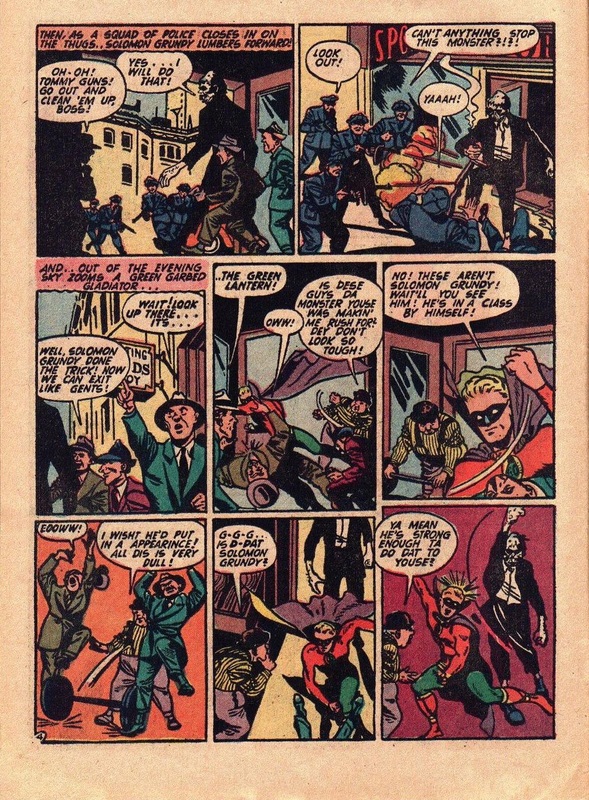 Arkham also surmises that the club is rooted in some kind of “Crime Bible” (seriously, that’s what it’s called), and wouldn’t you know it, he’s right. There’s none of the great character interaction that made the first issue so great, and Jonah now spouts Crow-style wisecracks. Come on, that's just pathetic. 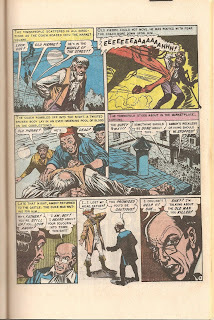 The art by Moritat is also rushed looking, with heavy reliance on filters and big splash pages, and pretty much all of the art looks like rough sketches, although in one part that may have been to illustrate that it was from the point-of-view of a dying man. 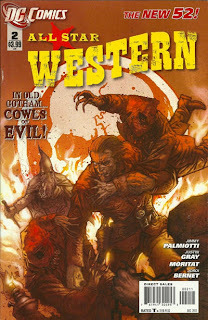 The reason for this drop-off in quality is probably because the creators were limited, you see, the story is reduced to make room for an El Diablo (another old DC western hero) co-feature, wherein El Diablo's alter ego Lazarus Lane enters a town facing a zombie infestation. This isn’t bad, but it’s not a good sign that the first story of a new feature is trying to cash in on the zombie craze. 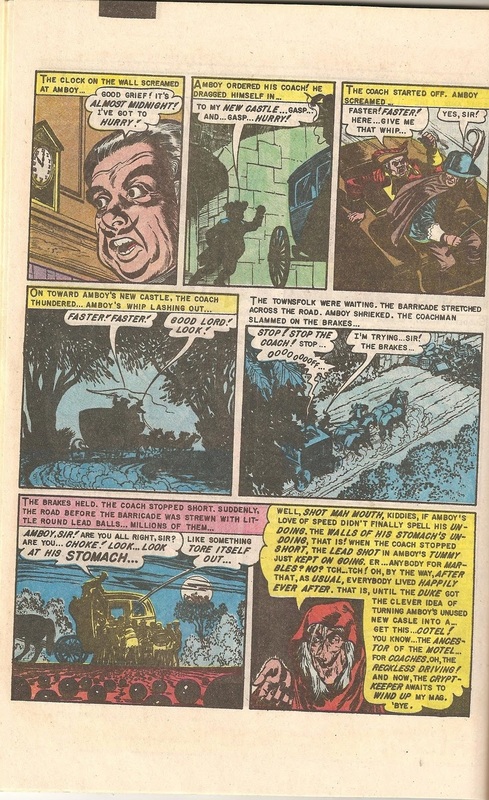 For all the bitching about vampires and werewolves these days, I have to say zombies are probably the most overexposed monsters of the past decade, and I know how ironic it is to say that considering that this a blog whose mascot is the go-to comic book zombie next to Simon Garth. It’s an okay story, but if the presence of this co-feature continues to affect the quality of the main Jonah Hex feature, then I’m gonna get pissed. And to be fair, most of DC’s books this month have had to cut back on the page count to make room for a preview of some Batman comic. Let’s hope everything is back to normal next month. 3/5. 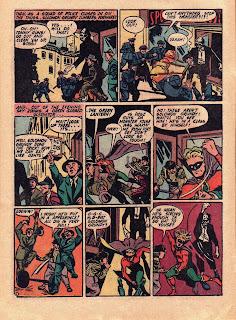 A big drop-off in quality from the first issue, but the orange/red color filters and the hooded assassins give this one an okay Halloween feel. El Diablo is okay, but superfluous. 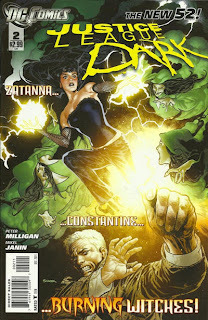 Justice League Dark continues to show promise, but still isn’t sure what it wants to be. 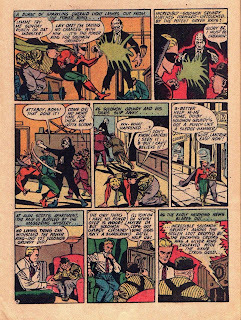 Milligan is doing a fairly good job making all the protagonists broken, wounded, and in some cases, perverted people. 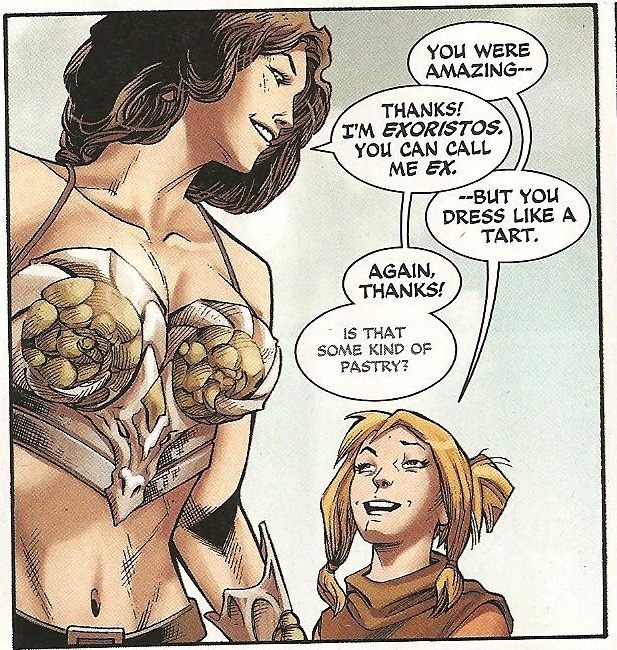 Mikel Janin’s art is still great. Things are starting to draw tighter together and next issue the characters will probably start meeting. All in all it’s a small, but considerable step up from the last issue. 3/5. 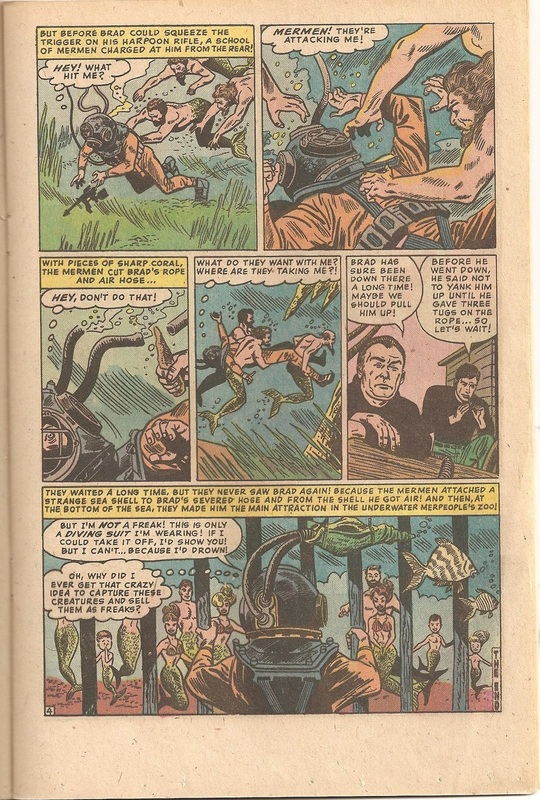 So switching into Halloween mode, and in case I don’t make it, here is a “fishy” story from Marvel to tide you over in case you’re feeling all wet, nautical in the right mind and the world isn’t your Oyster. Yes, puns when I could very possibly not live to see tomorrow. Oh well. 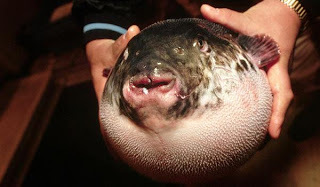 The Worst(...or is it one of the Best?) EC story ever! 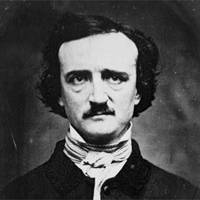 EC’s horror stories were always cruelly ironic, and always tempered with a sense of humor. But this….this one overdoes both the humor and the nastiness to a truly insane degree. 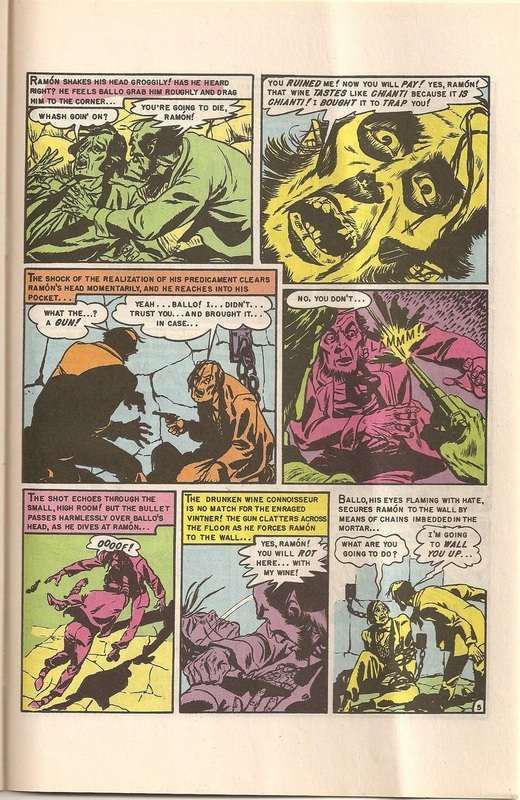 The humor is so pronounced that all it would need is a change of art-style to run in Mad, but at the same time it would probably have seemed too grim. It doesn’t even fit in with the other “Grim Fairy Tales” that EC ran because, really, other than the medieval setting, it has nothing to do with fairy tales. It’s an anomaly, but at the same time one of the most truly crazy things EC ever ran. 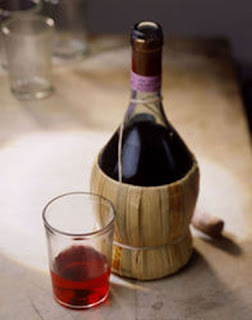 And yet, not a drop of blood or a single rotting corpse or dismembered organ is to be seen. Neither are sight-gags or characters drawn in a “bigfoot” style. 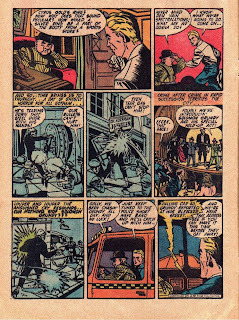 This is in part because of the presence of artist Jack Kamen; who was easily EC’s most restrained artist, some would even say weakest. 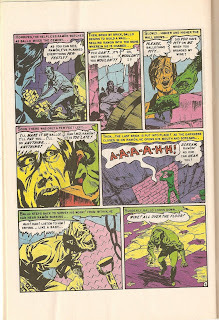 Either because of personal preference or because of the essay that was the introduction to EC comics for many of us, Don Thompson’s Son of the Spawn of M.C. Gaines (wherein Kamen was dismissed as a nice guy whose drawings were “very uninteresting”), Kamen has always gotten a bad rap. 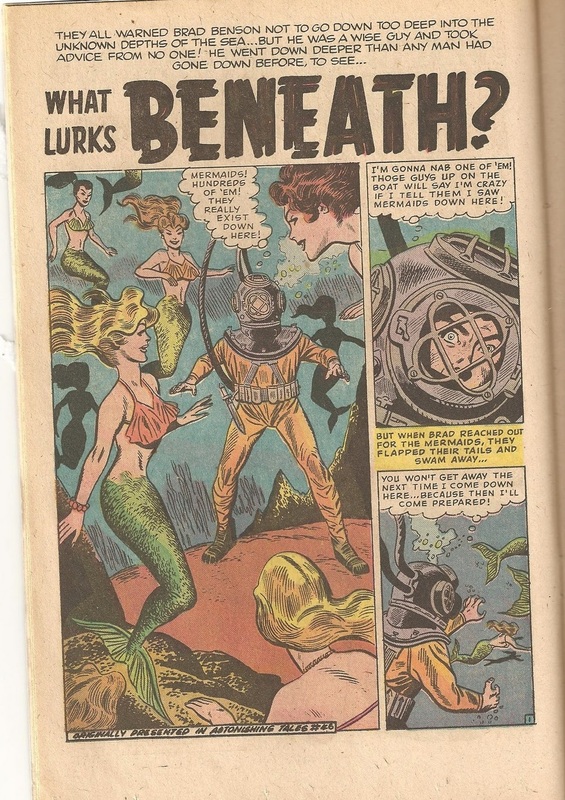 I disagree; he could inject just as much perversity into a story with his cartoony, romance comics-style as any of the other, flashier artists. 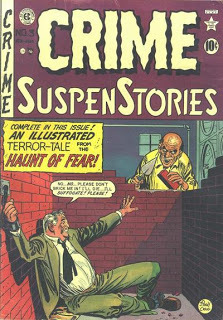 I guess he was the Val Lewton of the EC gang. 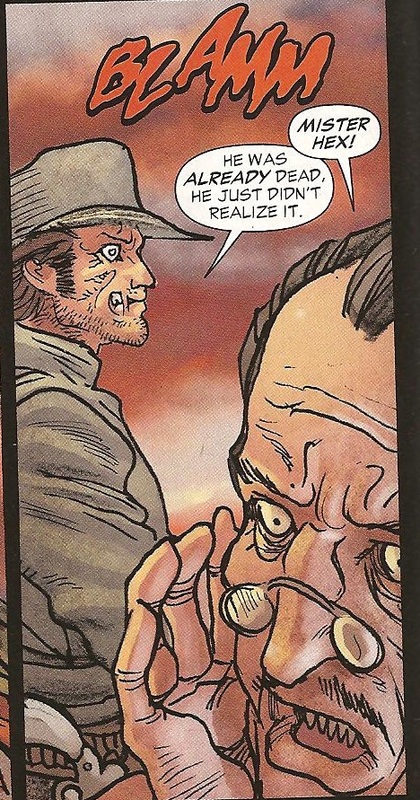 Here, I think he manages to achieve just the right balance of humor and horror, whereas the other EC artists would have focused too much on one aspect of the story. 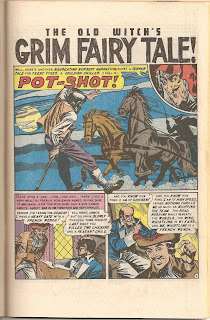 From Haunt of Fear #18, Here's "Pot-Shot!" All (c) EC. Comics. 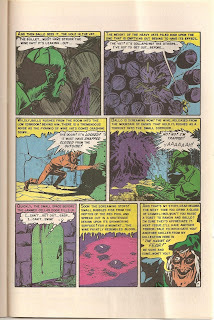 Yes it is, creepy Mego-Hulk figure with googly polymer-clay eyes, yes it is. 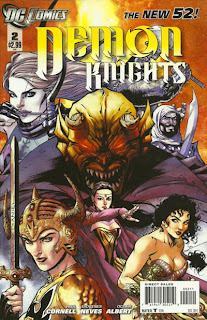 Is it wrong I can't help but hear Margot Kidder's "arms of a god" voice-over? 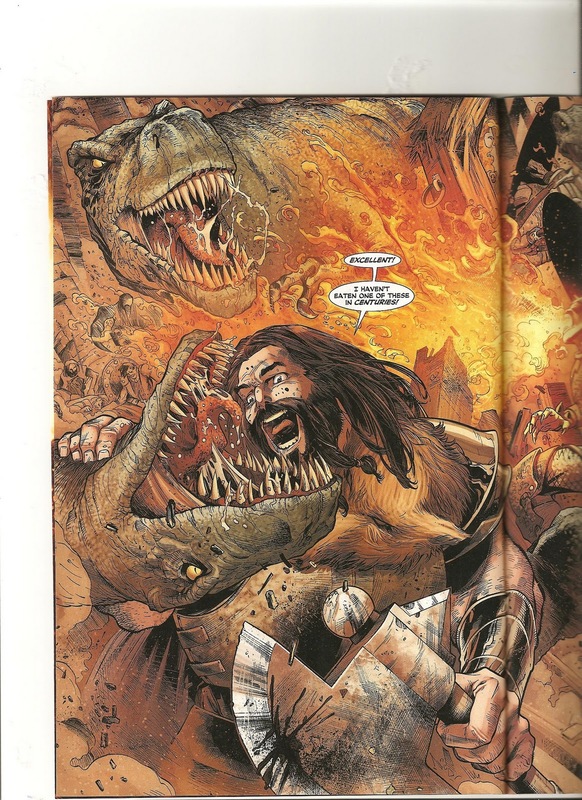 -There’s no denying it now: Vandal Savage is flat-out comedy relief. There are hints of the evil he’s capable of, but it’s all being played for black comedy for now. 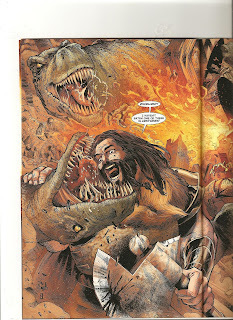 Also, I love how ordinary dinosaurs are considered dragons. 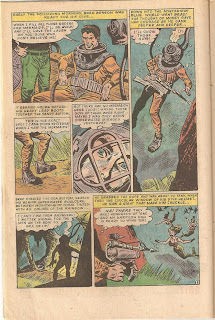 Other characters, such as the Amazon Exoristos and Al Jabr who had little more than cameos last issue, are given more prominence. 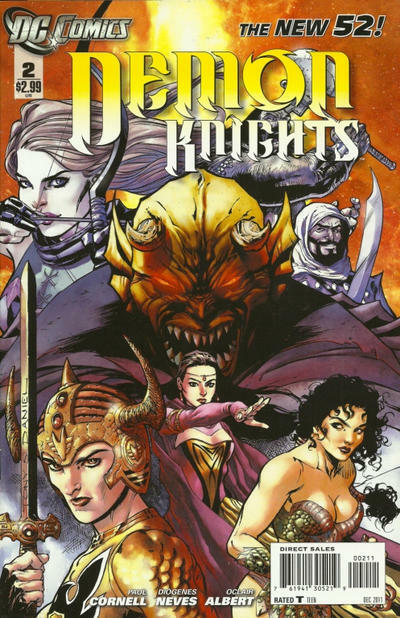 There’s really nothing to summarize plot-wise, as this issue is basically an extended action sequence, but it’s a good extended action sequence. 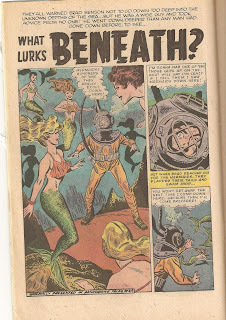 On par with the first issue. Definitely worth picking up. 4/5. 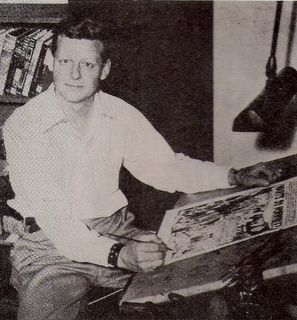 As much as I loves me some Atlas and Warren horror comics, the truth still remains; no other company surpassed EC at it's peak. 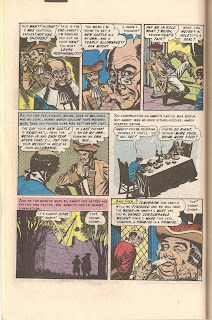 The company's comics were literate, bold, beautifully drawn, sometimes more topical and enlightened than any prose works that were seeing print, and they helped to define not just a medium, but an entire genre. They were also derivative as all hell, sometimes adapting stories wholesale but uncredited. Most of these were works that had long since fallen into public domain, but still, EC relied more on adapted stories than any other company. I gotta give them credit for always adding a little extra zing though, like this adaptation (Or rip off? 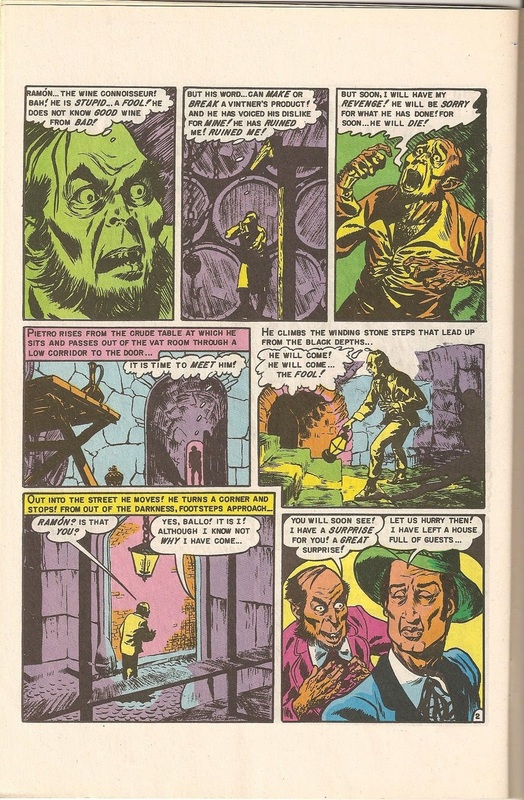 I don't have the original comic to tell if Poe received credit) of Edgar Allan Poe's The Cask of Amontillado. 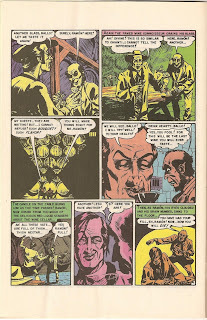 It adds a few twists to the original story, like giving the Montressor figure a motive, and adding a patented EC twist, but what makes this adaption work is the artwork of "Ghastly" Graham Ingels. Ingels work was in a class all by itself, even among the ultra-talented EC bullpen. 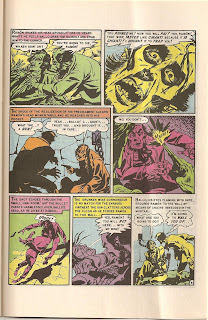 His work would influence everyone from Berni Wrightson to Stephen Gammel. 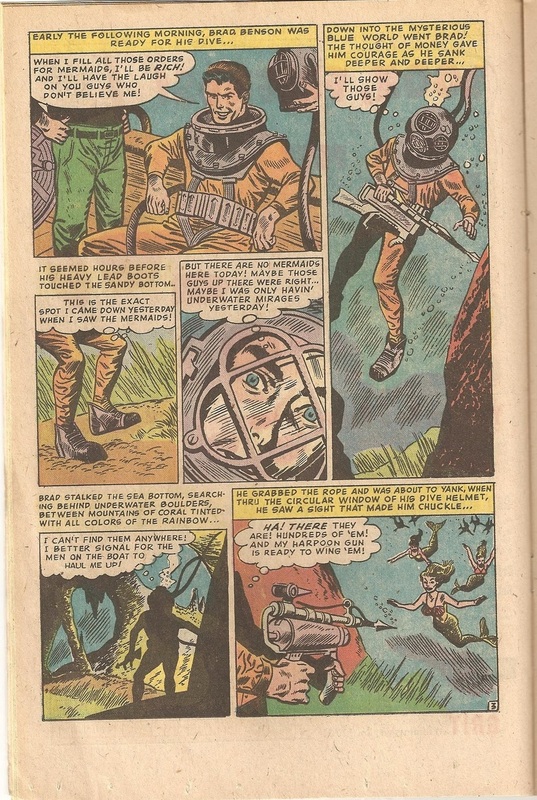 However, I must add a tone of dissent to my appreciation of his work: I never cared for it when he was asked to "go wild" with stories involving rotting corpses or slimy monsters. 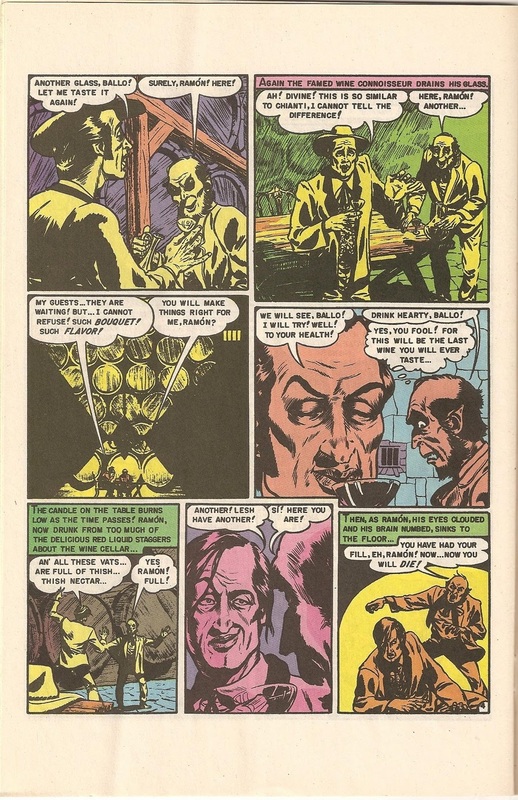 I thought he was most effective when drawing stories without any supernatural content, there his style really stood out because of how grotesquely he drew supposedly normal things. Just look at this story! The two leads, both ordinary humans, look like a hunchbacked werewolf and a dessicated corpse, respectively. That alone would be weird, but he also throws in some of the wildest facial expressions I've ever seen. Each little panel is a meme waiting to happen. 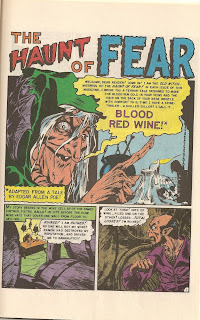 So dig in, and enjoy this odd little mash-up between two masters of the macabre. 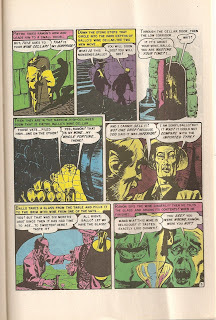 Whoever the colorist was (likely Marie Severin) also deserves credit for the muted, eerie color palette. 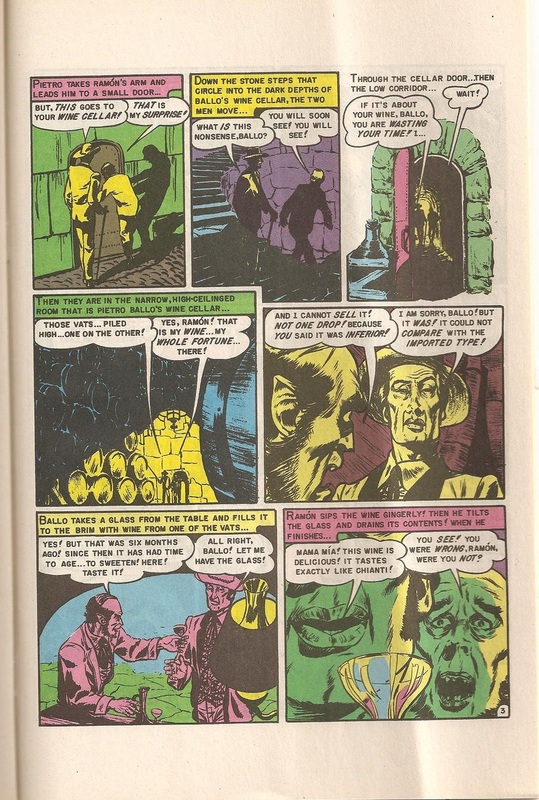 This one comes from Crime Suspenstories #3, and is hosted by The Old Witch, although with the green robe and masculine jaw, she could easily be mistaken for The Vault Keeper.